Blood and Glory: The Civil War in Color. This was the title of a newly televised two-part, four-hour documentary shown this past Sunday on the History Channel 2. Around ten thousand photographs were taken by photo journalists during the greatest struggle our nation has ever faced—one that pitted Americans against Americans, brother against brother, father against son. Considering that photography had only been around for about twenty years, the sheer number of photos was an amazing accomplishment. As reflected in the title, one of the main features of the film was a digital conversion from black and white to color prints. This well-made and skillfully interview-narrated documentary displayed dozens, if not hundreds, of photographs, many of which had never been shown before. Most of them had been colorized to enhance what were already high quality photographs. The clarity of many photographs was stunning—pictures of ordinary citizens, of slaves, of Union and Confederate soldiers, officers, and generals. Of President Abraham Lincoln. And, yes, of death and destruction as graphically portrayed with the corpses of soldiers that littered the battlefields and with the rubble of southern cities. 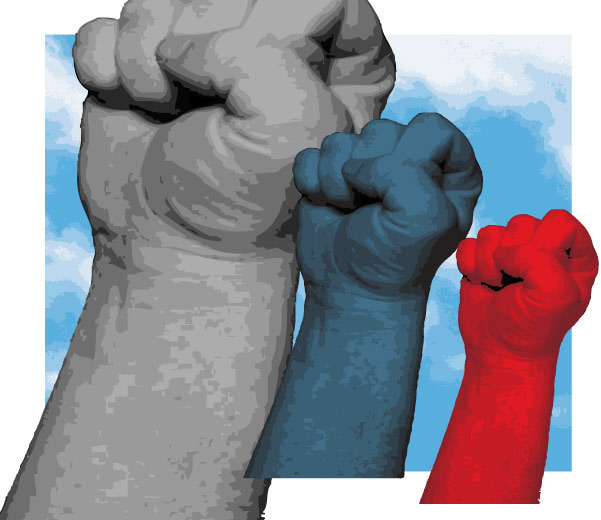 In terms of sheer numbers, the Civil War eclipsed all past and future American wars. With a total of some 620,000 Americans killed (some estimates go as high as 700,000), the death toll exceeded the combined total of Americans killed in World War I & II, the Korean War, and Vietnam. Which leads us to the next phase of this article: The abysmal number of casualties suffered by the human race during wartime in just the last one hundred years. We won’t even include regional wars or any number of sectarian or ethnic conflicts before, during, or after World War I and II, such as the Ottoman Turk onslaught against the Armenians, the Korean War, Bosnia-Serbia, or Vietnam (including the French Indochina war before that). World War I was nicknamed, The Great War. For two primary reasons: (1) it truly was the First World War, involving multiple nations that formed two main coalitions, one against the other. Never in the history of mankind had such a war been waged with such modern and massive weaponry, with unequaled destruction and cruelty, including the use of poisonous gas. (2) The atrocious death toll: A total of nearly 17,000,000 deaths, military and civilian … in just 4-5 years of fighting. Unheard of … an impossible number to consider (at the time). It was also labeled, The War to End All Wars; because it was simply inconceivable that the nature of man would ever again harbor such hatred, let alone express (act on) this hostility knowing what another world-wide war could do to the human race. The staggering loss of life and ongoing suffering of millions more wounded would preempt any notion of another world war. The League of Nations was formed to ensure that this was the War to End All Wars. Alas! Apart from God and his salvation, the human race doesn’t grasp nor really wants to come to terms with just how evil people can be. “The human heart is the most deceitful of all things, and desperately wicked. Who really knows how bad it is?” (Jeremiah 17:9). The answer to that question is all too experientially evident … meaning it’s bad. Some worse than others, but bad is bad. Which is why there will never, I repeat sadly—never be peace on this earth until the Prince of Peace returns to make all things right. Incomprehensibly, in less than thirty years, another World War began and ended, with unimaginable bloodshed. Moreover, the ultimate conclusion to this war was apocalyptic in scope … the atomic bomb. The results of Japanese casualties in Hiroshima and Nagasaki were, indeed, horrific, but all the experts agree: Not only would American casualties have been extraordinarily high (hundreds of thousands) but also the Japanese would have suffered even more deaths and injuries from protracted American assaults on the shores of Japan. Heads of state and people the world over were appalled at the shocking scale of fatalities and injuries inflicted during the Great War. Yet, the deplorable death and repulsive ruin of the First World War pale in comparison to World War II. Though the numbers vary, a fairly reliable figure places the total number of dead at 72,468,900. Let’s write this out and read it that way: Seventy-two million, four hundred sixty-eight thousand, and nine hundred. Absolutely staggering! That’s over four times the number of dead in The War to End All Wars. It borders on the unbelievable. The number exceeds the population of most nations of the earth. As gut-wrenching as it was to lose nearly 405,000 Americans in this devastating war, that was only slightly more than 1/2 of 1% of the total fatality count. It wasn’t just the stunning scope of World War II compared to the First World War; it was also the detestable increase in civilian casualties that shocked the sensibility and scarred the psyche of the whole world. It doesn’t matter that reasons can be provided for such carnage. For example: indiscriminate bombing by the Axis powers, carpet bombing by the Allies, slaughter of a vast number of Chinese civilians by the Japanese, and, of course, the horrendous extermination of some 11,000,000 non-combatants by the Nazis, six million of whom were Jews. Of the approximate 17 million killed in the First World War, only 5% were civilians. 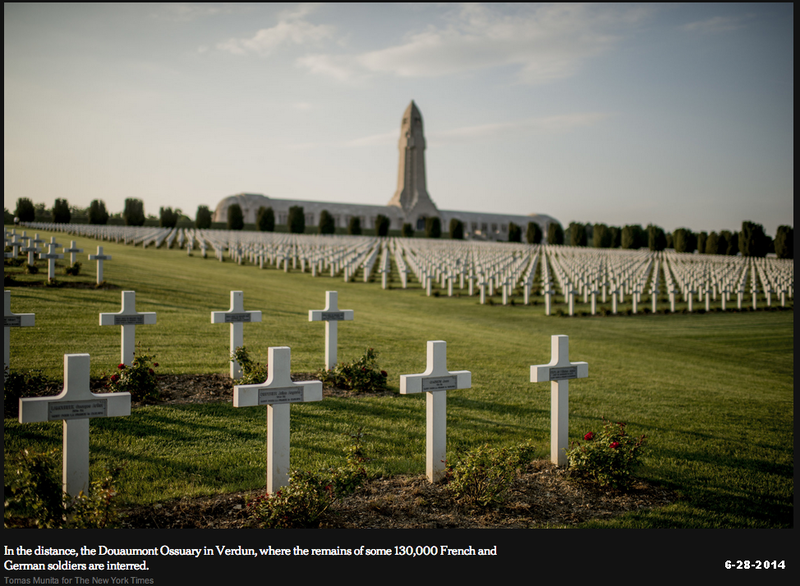 The ugly fact of WWII is that civilians comprised 67% of the 72+ million killed. With regard to the Axis powers, particularly Germany and Japan, killing of civilians was often deliberate, disgraceful, dreadful, and depraved (diabolical if you will) and was sometimes done after they conquered a territory, or nation, or ethnic group. With respect to the Allied nations, civilian casualties were mostly inadvertent because the enemy had refused to surrender even when it became clear that neither Germany nor Japan could win the war. War is war, and War is Hell, but the treatment of enemy civilians partly defines the difference between waging war justly and unjustly. 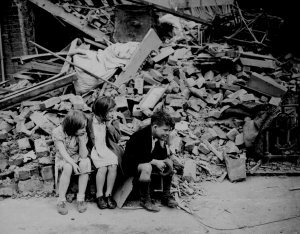 Still, the loss of so many civilians was poignantly tragic in the Second World War. Though hundreds of thousands all over the earth have been killed in subsequent wars and sectarian conflicts, and (ever so sadly) millions more by political purges, such as Russians killed by Stalin and Chinese by Mao tse-tung; it’s highly unlikely that the overwhelming figures of World War II will ever be repeated. That is, until the Great Tribulation. Incredibly, not just repeated, but exceeded in numbers that are mind-bending. Numbers that we simply cannot wrap our minds around. Numbers so great that they are indigestible … mentally, emotionally, and physically. The enormity of which could/should make us sick to our stomach. Not unlike the author of Revelation, John, who savored the pleasant taste of the scroll in his mouth, but which turned sour in his stomach while digesting it. (Revelation Chapter 10). This occurred with one Trumpet and all seven Bowl judgments still remaining. The scroll tasted good because it represented God’s final plan to eliminate all war and evil, a plan that was approaching its awesome conclusion and fulfillment. But the scroll was bitter to digest because of the countless number of deaths and extreme desolation still to come. Just how bad will it be? “For there will be greater anguish than at any time since the world began. And it will never be so great again. In fact, unless that time of calamity is shortened, not a single person will survive. But it will be shortened for the sake of God’s chosen ones” (Matthew 24:21-22). “Listen to me, my people. Hear me, Israel, for my law will be proclaimed, and my justice will become a light to the nations. My mercy and justice are coming soon. My salvation is on the way. My strong arm will bring justice to the nations. All distant lands will look to me and wait in hope for my powerful arm. Look up to the skies above, and gaze down on the earth below. For the skies will disappear like smoke, and the earth will wear out like a piece of clothing. The people of the earth will die like flies, but my salvation lasts forever. My righteous rule will never end!” (Isaiah 51:4-6, italics for emphasis). Notice how sweeping and all-encompassing this magnificent prophecy is. It includes God’s judgment on the nations, but also salvation and mercy. It entails devastation on the earth, but also God’s righteous rule (of peace and justice) that will never end. And this Kingdom of Heaven, this Kingdom of God on earth will be centered in a New Jerusalem, on a New Earth, with New Heavens above (See Revelation 21:1)! But in keeping with the theme of this article, most of all notice the italicized words of this passage: The people of the earth will die like flies. That is as graphic and ghastly as it can get. When God, himself, uses such strong words to depict the dreadful death and wreckage taking place in the Great Tribulation, all of us—both believers and unbelievers—would do well to listen. For believers to warn unbelievers, but in love and humility. For unbelievers to heed these warnings as they are from the true and living God. Time and time again throughout Scripture and throughout history, we see Bible prophecy coming to pass. What God says he will do, he does. What he says will happen, happens. There are approximately 7.3 billion people on the planet. This number doesn’t escape my attention, nor should it elude your interest. Why? Because seven is an extraordinarily significant number in Scripture … in God’s creation of the world, interaction with mankind, and especially in the (soon-to-come) awesome Day of the Lord, that commences with the Rapture, then the Great Tribulation. In fact, the seven plus three-tenths (7.3) adds additional impact, as the number three is also a substantially important divine number. If the Rapture were to occur today, it’s entirely feasible that one out of every seven people on the earth would be taken … again, in deference to the divine implication and consequential meaning of the number seven. I realize this is speculation (1 of 7), but it’s what we might consider as sanctified or spiritual speculation! It’s not just some off-the-wall unreasonable conjecture. This would include children of believers under the age of innocence. If you haven’t yet (or if you have, to refresh your memory), I would encourage you to read the first five articles published in the Eye of Prophecy website nearly two years ago, on the What, Why, When, Who, and How of the Rapture. That some children will be taken and some children will be left behind at the Rapture, the fourth article on the Who of the Rapture will provide more Scripture, rationale, and commentary to support this premise. Let’s do the math: 14.3% (1 in 7) x 7.3 billion =s 1.04 billion, or 1 billion, 40 million. (A little over one billion). Thus, 6.3 billion people would be left behind. But one billion people who were suddenly gone is a substantial number, certainly enough to create instant confusion, chaos, and consternation throughout the entire earth. But this is only the beginning. Let’s turn to book of Revelation which provides some facts and figures that are infinitely incomprehensible. They defy the definable; they annul the ascertainable; they cancel the conceivable. 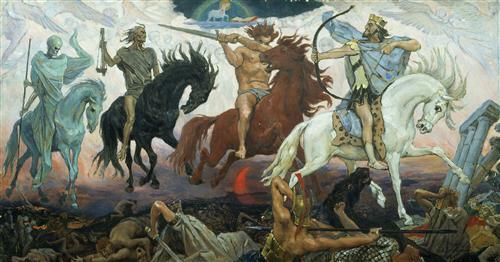 Who among us has not heard of the Four Horsemen of the Apocalypse? They are a symbolic representation of the horrible reality that the earth will experience soon after the Rapture. They are the first four of the seven seals broken by Messiah Jesus early in the seven-year Tribulation. When Christ breaks the seals, it is effectively a release (God’s permission for this great time of anguish to begin) of the nations of the earth to begin what will be World War III, culminating in the greatest and most decisive battle of all time … Armageddon. In order, the four horses and their riders represent Conquest (beginning with peace, but the kind of cold-war peace (in our time ) that erupted in World War II, e.g. Chamberlain’s pathetic agreement with Hitler; War & great slaughter; Famine of epic proportions; Death itself from any and all sources that cause people to die in large numbers. Here is the gruesome result: “When the Lamb broke the fourth seal … I looked up and saw a horse whose color was pale green. Its rider was named Death, and his companion was the Grave. These two were given authority over one-fourth of the earth, to kill with the sword and famine and disease and wild animals” (Revelation 6:7-8, italics for emphasis). This fourth horse and rider represent Death and the Grave, which is a composite result of the first three horseman accomplishing their horrifying agendas … massive death by war, famine, disease, and even by the animal kingdom. What is the sickening consequence? One-fourth of the world’s population will die. Once again, let’s do the (awful) calculations: 25% x 6.3 billion people =s 1.6 billion (rounded off) dead on this planet. Which leaves roughly 4.7 billion survivors. Thus, in all likelihood, more people will die in a relatively short time than the number taken in the Rapture. Although we’re certainly beyond the beginning phase of the Great Tribulation, it’s far from over. Let’s examine the next huge loss of life which is from a different source of terror, with the four horsemen depicting death and destruction at the hands of man, himself. “And the voice said to the sixth angel who held the trumpet, ‘Release the four angels who are bound at the great Euphrates River.’ Then the four angels who had been prepared for this hour and day and month and year were turned loose to kill one-third of all the people on earth. I heard the size of their army, which was 200 million mounted troops” (Revelation 9:14-16, italics for emphasis). Time/space does not permit in this article, except to say that I and several other Bible prophecy scholars firmly believe that these “mounted troops” (which is a natural expression to describe what are otherwise supernatural beings) are fallen angels or demons—as they are led by four angels who had been restrained and then released just for this purpose, at a very specific time during the Great Tribulation. How ironic that there are four of these evil angels, to rival the number of the four horsemen, which represent men and nations. In other words, demonic angels—those who are part of Satan’s rebellious kingdom—themselves will be released and given permission by God to wreak havoc and death on the earth. How many will they kill? One-Third! This is a higher percentage than died during the oppressive onslaught of the Four Horsemen of the Apocalypse. Again, we must bite the bullet and do the cruel computations. Recall that there were about 4.7 billion left on the earth after the first four seal judgments. Thus, 1/3 x 4.7 billion =s 1.6 billion killed. The demonic army killed a higher percentage than the four horsemen killed, however, the same number died, 1.6 billion (rounded off); but only because there were fewer people left on earth when the demonic hordes began their killing spree. How many people are left? Simple, but literal subtraction of these alarming figures shows us that there are now only 3.1 billion souls left on planet earth. That’s less than half of the world’s remaining population (6.3 billion) after the Rapture takes place: 49.2% to be exact. The numbers are utterly shocking: 50.8 % of the earth’s population (3.2 billion) from virtually every nation on earth, dying in just these four seal and one trumpet calamities. I don’t know about you, but I simply cannot process those numbers, either emotionally or mentally. If you think you can grasp these numbers, then stretch your imagination with the domino phenomenon. First locate, then line up and lean three billion, two-hundred million dominos one against another, and see how long the line is. Hint: Think circumference of the earth at the Equator which is 24,901.5 miles. Then push the first one and see how long it takes for all of them to fall. Or test your cognitive capability, your endurance, and your patience by counting to 3.2 billion. How long before you give up? Or if you don’t give up counting, how long would it take you counting one number per second? If my math is correct, I’ll tell you how long: Too long! Seriously, it would literally take (more than) a lifetime: 102 years to be exact! Does that help to better understand 3.2 billion? And, we’re talking about people, not dominoes or dollars or seconds. What a titanic tragedy the Tribulation will be. But it’s not by any means over yet. Remember, there are three more seal judgments, six more trumpets, and all seven bowl judgments in which more people will perish. Millions of tribulation saints will be killed by Antichrist and his followers. Hundreds of millions of unbelievers (and other believing tribulation saints) will succumb from the supernatural and natural catastrophes which God will inflict on a violent and wicked generation of earth’s inhabitants. Beginning with “a great earthquake” which causes the sun to become, “…as dark as black cloth, and the moon … red as blood … the sky was rolled up like a scroll, and all of the mountains and islands were moved from their places” (Revelation 6:12-14). At this point, earth’s inhabitants, from the greatest to the least, will at least recognize that God, himself, has begun to administer divine justice. Here’s what is said by the “kings of the earth, the rulers, the generals, the wealthy, the powerful, and every slave and free person,” after experiencing the sixth seal that was just quoted, which is the first judgment directly from God: “And they cried to the mountains and the rocks, ‘Fall on us and hide us from the face of the one who sits on the throne and from the wrath of the Lamb. 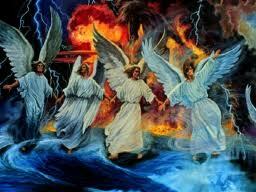 For the great day of their wrath has come, and who is able to survive’” (Revelation 6:15-17). Does this acknowledgment of Divine sovereignty lead to global repentance (a change of mind and heart regarding God)? Not even close. Obviously some will believe and choose the true Messiah throughout the Tribulation period, but most will not. Let’s return to the sixth trumpet judgment, in which the demonic horde led by the four evil angels kills some 1.6 billion people. All seven seals had been broken and five trumpet judgments had already taken place. By this time, you would think that the vast majority of survivors would willingly and desperately turn to God and His Messiah. Although many the world over will have conceded the reality that God is now releasing his righteous wrath on the world’s wickedness, both directly and indirectly by granting authority to Satan to unleash his forces, they continue to defy their only source of salvation. Here’s the hard-hearted reaction by most of the world: “But the people who did not die in these plagues (caused by the 200 million demons) still refused to repent of their evil deeds and turn to God. They continued to worship demons … And they did not repent of their murders or their witchcraft or their sexual immorality or their thefts” (Revelation 9:20-21). Astonishing! Does that tell you how incredibly foolish (stubborn) people can really be and get. In the face of overwhelming evidence of who is God and who is not, they loved their perverted lifestyle and pleasures more than everlasting life in heaven. One more trumpet judgment and four more (of the seven) bowl judgments later, we see the same obstinacy that is every bit as hard-hearted as Pharaoh who thumbed his nose at God until it was far too late. “Then the fourth angel poured out his bowl on the sun, causing it to scorch everyone with its fire. Everyone was burned by this blast of heat, and they cursed the name of God, who had control over all these plagues. 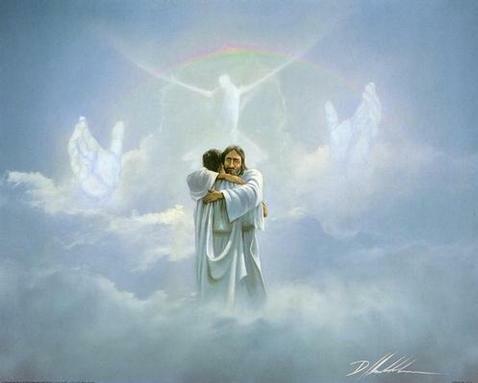 They did not repent of their sins and turn to God and give him glory” (Revelation 16:8-9). 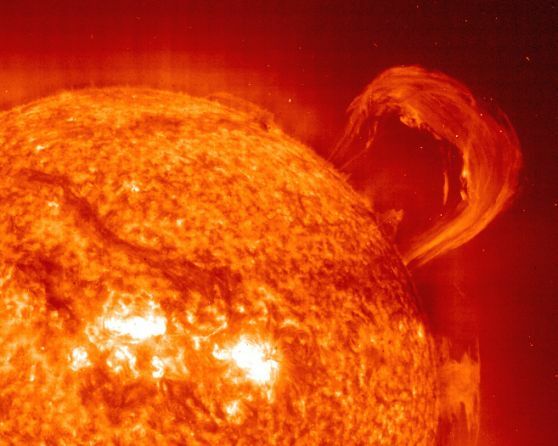 This is the ultimate solar flare! Astounding! Not only do they not say, “Okay, Lord, we’ve had enough. We’re sorry. Please spare and save us.” Now they actually begin cursing God. “Then the seventh angel poured out his bowl into the air. And a mighty shout came from the throne in the Temple saying, ‘It is finished!’ Then the thunder crashed and rolled, and lightning flashed. And a great earthquake struck—the worst since people were placed on the earth. The great city of Babylon (Rome) split into three sections, and the cities of many nations fell into heaps of rubble … And every island disappeared, and all the mountains were leveled. There was a terrible hailstorm, and hailstones weighing seventy-five pounds fell from the sky onto the people below. They cursed God because of the terrible plague of the hailstorm” (Revelation 16:17-21). Once again, absolutely incredible! Not just cities all over the earth crumbling into rubble, or every single island—think of the Hawaiian Islands—completely disappearing (giant tsunamis that not only inundate but sink the islands), and all of the earth’s mountains flattened into level plains. No, that isn’t what causes the unrepentant who are left on the earth to curse God once again. It was the giant hailstones that obviously were even more devastating than the other colossal calamities. The disaster depicted in the recently released movie, San Andreas, is nothing more than a tiny dot on a Seismograph compared to this unbelievably powerful world-wide earthquake, its aftermath, and the hailstorm to follow in this final and most fearsome judgment of all. Wouldn’t a reasonable conclusion be: If you’re going to die (or live), then why not die (or live) for Christ, instead of Antichrist or yourself? One leads to everlasting life, the other to eternal death. How does anyone process these unfathomable events, these astronomical numbers? You don’t. You can’t, not really. Both emotionally and mentally, they are too vast to contemplate. But that doesn’t mean we should dismiss the totality and enormity of what Scripture is telling us. “It is finished.” These were the very words of Jesus, the Lamb of God, as he died on that old rugged Cross. These words meant that God had finished pouring out his wrath on his beloved Son, who died in our place for all the wrong things we’ve done. To pay and satisfy the debt for our sin by setting aside God’s verdict of guilty which is: “For the wages of sin is death…” (Romans 6:23). As we have seen, these same words will be spoken from the throne of heaven (I’m sure by Messiah Jesus, the Lion from the tribe of Judah, the King of all kings) as God finishes pouring out his wrath on those who belong to the world; those who reject God’s pardon by refusing to accept Jesus Christ as their personal Savior. That is the way of it. That is true justice. “And I heard a voice from the altar, saying, ‘Yes, O Lord God, the Almighty, your judgments are true and just’” (Revelation 16:7). It really is quite simple. Don’t wait until it’s too late … when you meet Christ as your judge. Meet him now as your Savior! “For God loved the world so much that he gave his one and only Son, so that everyone who believes in him will not perish but have eternal life” (John 3:16, italics for emphasis). “The Lord … is patient toward you, not wishing for any to perish but for all to come to repentance” (II Peter 3:9, NASB, italics for emphasis). Repentance means to change one’s mind about God and say, yes, to God’s invitation and promise: “…Believe in the Lord Jesus and you will be saved…” (Acts 16:31).